We deploy testers far and wide to make sure our gear is up to snuff. This week we hear from Andrew Lewicky of SierraDescents.com, who took our 2 person Nemo Losi test tent for a spin and makes a case for its space below. 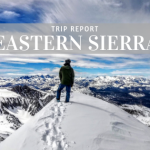 Andrew is well-versed in backcountry adventures, and shares his experiences with the world through his site featuring trip reports and gear and guide book reviews. Check it out! If you’re traveling with a partner and you don’t want to rub shoulders all night, the Losi was built with you (and your comfort) in mind. Interior dimensions are a generous 86 x 54 x 46 inches. And, thanks to the tent’s unusual geometry, those numbers understate the actual, usable interior volume. 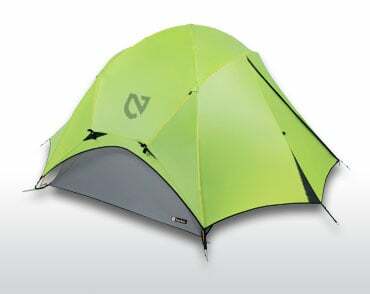 The Losi is the first 2-man tent I’ve tested that employs not two or three but four separate poles in its design. The two extra poles fit like gutters along the tent’s upper sides—a very interesting innovation. As you’d expect with multiple poles and an unusual design, setup is definitely trickier than average. 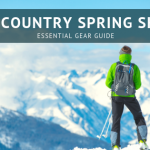 Be sure to take a practice run or two at home before venturing into the wild. Those two extra poles serve multiple functions. 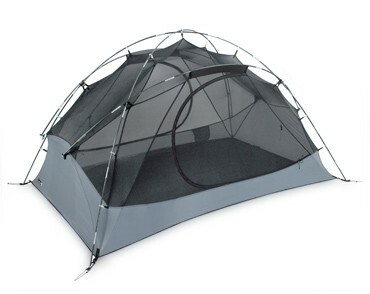 Perhaps the most significant is the alteration of the tent’s geometry. Thanks to the side poles, the Losi’s interior walls become much steeper than a traditional tent’s. If the swish-swish of your sleeping bag rubbing against low-angled tent fabric keeps you up at night, you’ll love the way the Losi’s sides — all four of ’em — rise nearly vertically where they meet the floor. As noted, this gives the interior considerable spaciousness, exceeding, for example, the interior room of MSR‘s excellent Hubba Hubba 2-man tent, albeit at the cost of an extra pound of weight. The other major perk of the Losi’s double side-gutters is ventilation. When the fly goes atop the Losi, it connects directly to the ends of the two side poles, pushing it outward to create vents at each end. These vents are completely protected from rain, offering unmatched ventilation even in a downpour. 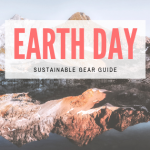 Be aware that those end vents could prove problematic in dusty or snowy environments as there is no way to completely seal the tent from the elements. 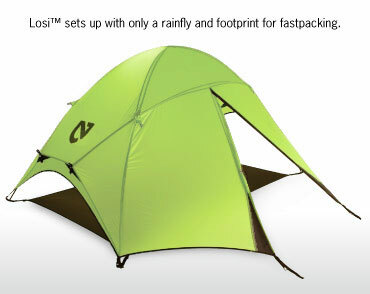 If this is a concern, you’ll want to opt for the Nemo Losi Storm version of this tent. You can also set up just the Losi’s rainfly and footprint if you’re fastpacking yet need some protection in case of light rain. The Losi is going to be at its best for two-man use on longer trips where rain is a real threat. Extra space is the big draw here: you and your hiking partner will weather storms in relative comfort, with plenty of interior room and an innovative ventilation system that remain open even in the heaviest of downpours. If it’s not raining, pull the fly and enjoy the stars and breeze via the Losi’s full-mesh body. Bottom Line: Extra space & ventilation, provided you don’t mind carrying extra weight. For more information on the Nemo Losi 2P Tent, read SierraDescents’ full review.